The Gollipopps were formed in 1991. Drawn together from all corners of the country by a soft spot for foppery and a fondness for ascots, the colors of which represent each member's royal coat of arms, they have chosen Portland, Oregon as their home. A fortune won at the racetrack enables them to indulge these whims at their leisure, and though some spread rumours of a benefactress, these are false. Although one most often sees them performing musically, they also can be found selecting new matching wigs. 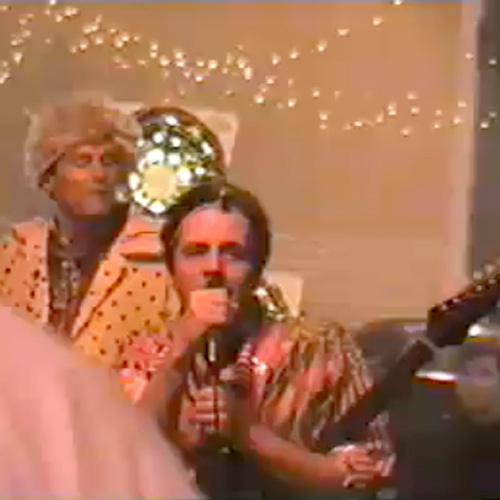 Performed live at Galaxy Hut, Arlington, Viriginia, December 29, 1996. The Gollipopps have renounced all that does not please their sensibilities, and pursue with great determination that which does. They eschew the diphthong "y" in their names, preferring the more sprightly "i." As a sign of their unity, each has taken the band's name as his or her own, with the exception of Chaude Baise (pronounced "Show Biz"), whose name indicates his ambitions and predilections, and whose French heritage already has endowed him with many of the qualities prized by the Gollipopps. 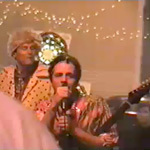 The musical creations of the Gollipopps can be sampled on their single, released by Teen-Beat and featuring "Moana," "Creature Feature," "Recount," "I'll Be the Mountable," and "Wrong Way Halo."